Kelvin taught the first meditation courses at West Point Military Academy, and in the U.S. Army on the DMZ in Korea. While in Korea, Kelvin had a GS-11 rating and taught as a consultant to the military by invitation of the Pentagon. When the U.S. Air Force heard he was teaching on all the Army bases, they requested that he teach on their bases in Korea as well. He has continued to work with veterans, their families, and contractors who have returned from working in war zones. Kelvin has also worked with Gold Star families. Kelvin’s family has many military ties, including his father’s service in the Pacific theatre during World War II as a captain in the U.S. Army Air Corps. Kelvin’s clients and family members have served in World War II, Korean War, Vietnam War, Iraq War, and in Afghanistan.They represent all branches of the Armed Services. Kelvin’s clients report relief from panic attacks, PTSD, hypervigilance and anxiety, and better overall health and well-being. They experience accelerated healing not only from physical injuries, but also the emotional wounds that often accompany them. Here’s his history: Kelvin learned Transcendental Meditation (TM) at age 19. Kelvin taught TM for about 10 years and was an international leader in that organization. Since then, Kelvin has removed all cultural trappings from that teaching and practice, and has made the technique even more effortless and flexible, so it even more easily fits into our busy daily lives. He calls his technique “Turning Within” Meditation. Kelvin is a graduate of Dartmouth, Yale and Boston College Law, and formerly held senior business roles in global law firms before changing his focus to working full-time with his nonprofits. He has lived in 8 countries, and currently lives in Los Angeles teaching meditation worldwide via videoconference, phone and in-person. Kelvin offers special programs to teach military personnel on-site on their military bases and at their offices. He also offers his meditation program “Live” via videoconference worldwide. In addition, he offers programs to veterans and their families at whatever facility is most convenient, or via videoconference. Kelvin’s goal is to make his programs as accessible as possible to help alleviate the pressures that our military and its veterans and their families endure from having served their country in wartime or peace, whether overseas or at home. The program is typically 4 days long. Most meetings last 1-2 hours long with one meeting per day. The first three days are on consecutive days, with the final class approximately two weeks later. Additional follow-up to ensure maximum results and to answer all questions from the students is arranged as needed. The follow-up meetings may be done in-person or via videoconference, depending on the group. Kelvin’s technique is appropriate for all ages, including children. He also teaches veterans with brain injuries in their hospitals or other healthcare facilities, as needed. “I was a convoy commander for the DoD LOGCAP III. I served in the military from December 2003 to July 2005, and as a Vietnam era veteran from 1974 to 1976. 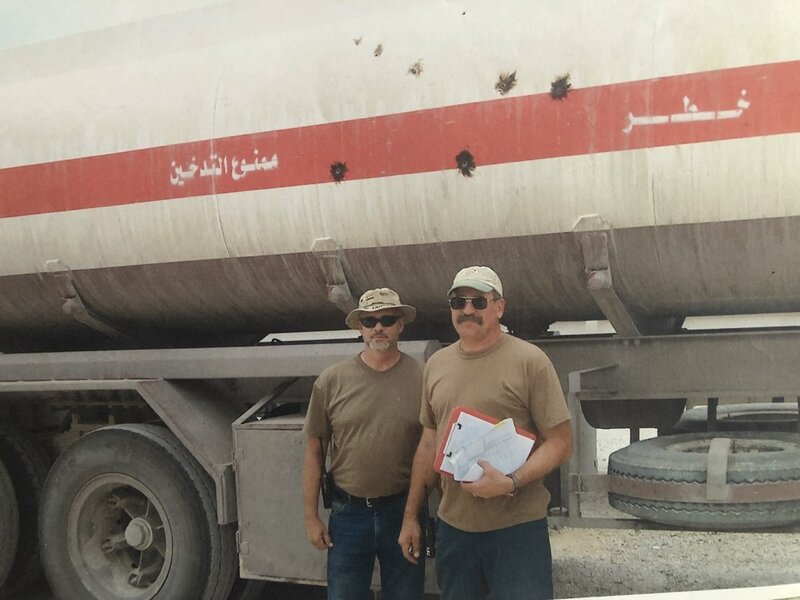 “I was in charge of a fleet of fuel tankers that transported jet fuel, diesel and mogas for the military in a war zone. I was shot at and blown up so many times I had to quit counting after number six. I was losing my focus on why I was there. I completed over 200 successful missions for the military with no failed missions. No one from my convoy was ever killed in action. “Oh there were plenty of injuries but no one was killed everyone made it home that was on my convoy and that is something I’m proud of. “On July 27, 2005 my convoy was ambushed by insurgents on MSR Tampa just south of Baghdad Iraq. An IED (roadside bomb) exploded approximately 40 feet from my vehicle sending me home with a TBI, hearing damage, vestibular system damage and brain damage. I was also diagnosed with PTSD. “I received no treatment for my PTSD because the government would not recognize it so I had to look for alternative treatments. I experimented with several meditation methods and other energy healing methods. All were effective and helpful. The best method and the one I use today is Kelvin Chin’s Turning Within. “It is nearly effortless with no worries. Don’t have to worry about doing it right or wrong. It is the easiest method and most effective and the main one I use to this day. It has aided me in the control of my anger and helped me tremendously with my sleep at night. “In July 2018 I lost my best friend to suicide. I was grieving so bad and could not stop crying for weeks. I think it hit me hard especially since it was anniversary of the ambush that changed my life. 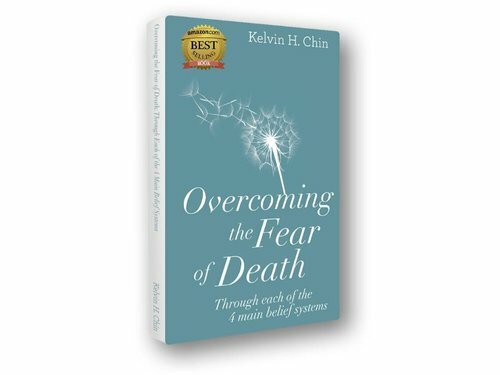 “Kelvin’s book Overcoming The Fear Of Death and his counseling and Meditation sessions got me through it. I highly recommend Kelvin’s meditation program for everyone and especially for all veterans and wounded warriors. The following excerpt is from Kelvin Chin’s book “Overcoming the Fear of Death: Through Each of the 4 Main Belief Systems” (2016). It is available on Amazon and other online booksellers worldwide. Kelvin describes helping his friend and Vietnam War veteran, Jimmy Carpenter, while he was in his final days of life. Jimmy retired from the U.S. Army as a Chief Warrant Officer (CW4) in 1989. He died on September 28, 2015 in Austin, Texas. This story will shed further light on both the First Belief System and the Second Belief System, as well as the idea of “turning within.” Remember how I said we can have “hybrid” belief systems, or be “straddlers”? My friend Jimmy was one. Jimmy was bedridden, could not walk easily, but was still lucid and talking. He ate and drank liquids, but sparingly. He was not yet at the end stages of the dying process, but he was approaching it. I sat with him one morning last August, about a month before he actually passed away. And after I taught him to meditate, we talked for a few minutes about death. [Caveat: that’s not my normal mode in meditation classes, but given the severity of Jimmy’s illness and decline, I thought I should take the opportunity to talk with him when I had the chance.] I asked him what he thought happened after we die. He said he thought, “That was it. Nothing. When we’re done, we’re done.” I said, “That’s what my father believed too.” Jimmy was describing what I now call the First Belief System. I asked him, “You wonder about what?” I didn’t want to put words or my thoughts into his mind, so I just asked him questions to help me clarify what he was saying, what he meant. He said, “I wonder if that’s what will happen — if I will actually just die. Or if something else will happen.” “Like what?” I asked. “I dunno, like maybe I might not die,” he responded. So, I held his hand. I wanted him to feel my touch as I talked with him, so he just wasn’t “in his head” thinking about this. I wanted him to feel my lack of fear about death, that whatever happened to us, I was okay with it. But, I didn’t want to just tell him that, because that just doesn’t work, in my experience. He needed to experience it himself, the lack of fear, within himself directly. So, we talked some more…with me holding the hand of this 6’4”, 275 pound former Cobra Attack gunship helicopter pilot. 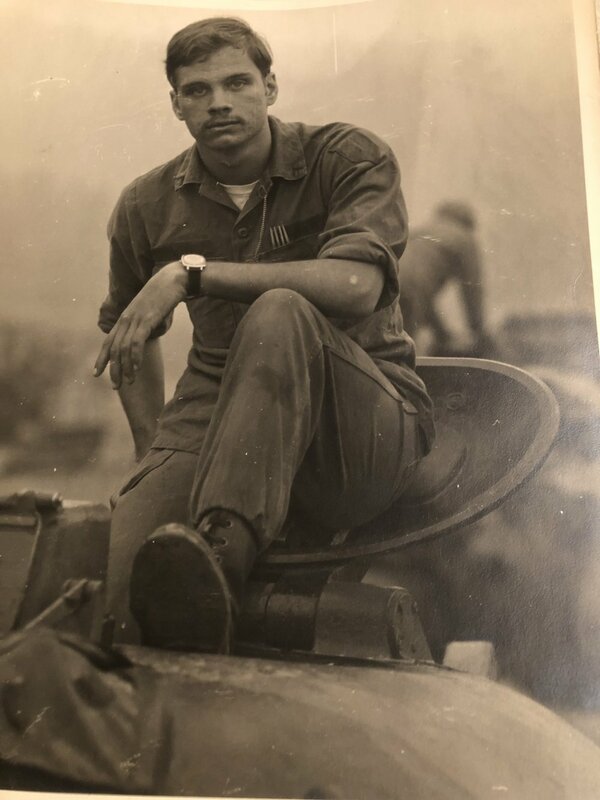 A tough Vietnam War vet and U.S. Army lifer. Jimmy said, “Well that’s an interesting story, pretty wild stuff.” And his hand seemed to relax just slightly in mine. Jimmy died a month later. I was fortunate to be by his bedside at that moment he passed — standing alongside his wife Donna and his daughter Kim. He died peacefully. So, in retrospect, Jimmy may have been one of those rare multi-hybrids. He said he believed in the First Belief System, and lived his life fully, seemingly without fear, or not much. But maybe he had a little fear of continued existence, the Second Belief System. Or, maybe he was even of the Third Belief System and didn’t even really know it, wasn’t consciously aware that he was. But in the end, he died calmly, sharing some final words with me a few days before he passed, and my fear radar tells me that he died pretty much fear-free. Kelvin has also worked with a “Gold Star Family” (immediate relatives of members of the U.S. Armed Forces who have been killed in combat) and many others over the past 30 years to help them recover from many types of losses, including the death of loved ones. Recently, Kelvin did grief work with a family who had lost their husband/father in Afghanistan. He was an officer in the U.S. Air Force.